Also, March in D, E. 249. Gordan Nikolic, Netherlands Chamber Orchestra. PentaTone Classics PTC 5186 097. There is certainly no shortage of Mozart "Haffner" Serenades to go around. There's one for almost every taste. I'm afraid this one falls short of some of my favorites, though, even if the PentaTone SACD audio is fairly good. Maestro Gordan Nikolic leads a modern-instruments group, the Netherlands Chamber Orchestra, in a fairly straightforward rendition of the work. There is nothing wrong with this, but if he wants to sell discs, he might have striven for something more extraordinary. The "Haffner" Serenade, dedicated to the daughter of its patron, Siegmund Haffner, is a long piece, over fifty minutes, divided into nine movements. 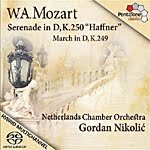 Despite its length, it is a composition of light music by Mozart's standards; yet you wouldn't quite know it by Nikolic's performance, which rather emphasizes the music's serious side. The little March that opens the program doesn't have a lot of zip to it, either. This is music for people who take their Mozart on the sedate side. PentaTone's sound, reproduced on a hybrid multichannel and two-channel stereo SACD, is also somewhat on the heavy side, although it nicely complements the interpretation. I found the sonics a bit one-dimensional in terms of depth and slightly constricted in left-to-right spread, but I only listened in two channels, not multiple channels. I'm sure it would open up well to the additional speakers if you have them. Marin Alsop, Baltimore Symphony Orchestra. Naxos 8.572112. Say it ain't so, Joe. Now even the folks at Naxos are recording things live. Well, it's not as bad as it could be, I suppose. More on that later. Of the nine symphonies written by Czech composer Antonin Dvorak (1841-1904), his Symphony No. 7 (1885) is undoubtedly the darkest and moodiest, filled with the most emphatic opposition of forces. I wish Ms. Alsop and her Baltimore Orchestra had played it that way. Of the two performances on this disc, I much preferred her interpretation of the Eighth. In the Symphony No. 7, the opening movement, it seems to me, should have more strength, more magisterial weight (compare Pesek, Virgin; Davis, Philips; Kertesz, Decca; or Jansons, EMI). The slow second movement goes well enough, if somewhat prosaically. 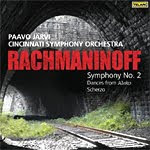 The Scherzo retains its rustic charm amid some tempestuous contrasts, although, again, the conductor's approach seems a bit pedestrian and lacking the last ounce of lilt amongst the danger. Although she does bring the Finale to a suitably momentous close, it's a matter of too little too late. Frankly, I've never much cared for Dvorak's Seventh Symphony, and Ms. Alsop's recording of it does little to persuade me otherwise. Symphony No. 8 (1889) has almost exactly the same outline and proportions as No. 7, yet Dvorak (and by extension Ms. Alsop) takes us into an entirely different world altogether. Perhaps Ms. Alsop simply feels better attuned to the more freewheeling Bohemian climate of No. 8, because she produces a reading of infinite variety and delight. Some listeners may still think it a tad too perfunctory in parts, but it flows gently and naturally from start to finish and provides a sunny, easygoing musical experience, with an appropriately rousing conclusion. Recorded live at Joseph Meyerhoff Symphony Hall, Baltimore, in 2008-09, the sound is sometimes thick and slightly clouded, especially in Symphony No. 7. Audience noise is never an issue, and, thank goodness, there is no applause. However, ultimate transparency suffers. While dynamics and frequency extremes are adequate, the midrange can seem shrouded, resulting in a big, warm, soft overall effect, with little strength or impact. At least No. 8 (recorded earlier) sounds a touch more translucent than No. 7. A handsomely illustrated slipcover encloses the jewel box. 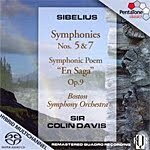 In all, you get your money's worth at budget price with the two symphonies sharing one disc; it makes an attractive package, even if you may prefer one performance, as I did, well over the other. Piano Trio in E-Flat Major, Hess 47; Piano Trio in D Major, Kinsky/Halm Anhang3; Piano Trio in E-Flat Major, Opus 63. The Beethoven Project Trio. Cedille CDR 90000 118. 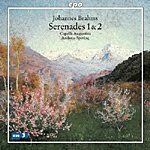 This Cedille disc is for Beethoven fans who want to hear everything the man might ever have written, for audiophiles who want to hear the best in sound reproduction, and for music lovers who simply want to hear some lovely tunes. In any case, the listener can't lose. The Beethoven Project Trio are a Chicago-based ensemble formed in 2008 and comprised of George Lepauw, piano, Sang Mee Lee, violin, and Wendy Warner, cello. Their goal is to explore Beethoven's trios within the context of all the trio works that have come after them. However, they do not confine themselves entirely to Beethoven and have branched out into Brahms, Mozart, and Schubert. For the present historic recording, Mr. Lepauw plays a Fazioli concert grand, model F278; Ms. Lee plays a 1713 Cooper-Hakkert Stradivarius; and Ms. Warner plays a 1772 Giuseppe Gagliano, all on generous loan. In the program, we get three Beethoven trios, all of them unique in their own way. Things begin with the Trio for Piano, Violin and Cello in E-Flat Major, Hess 47, "an original arrangement by Beethoven himself, from his String Trio Opus 3," 1794. It is a single movement lasting about twelve minutes, lost and forgotten for quite a while and here receiving its world-première recording. It did not get a printing until 1920, and there is as yet no performance edition available (although the International Beethoven Project is preparing one for publication before the end of 2010). 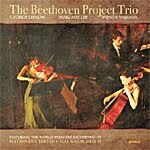 At any rate, the little work is brisk and sprightly and thoroughly delightful, at least in the hands of the Beethoven Project Trio, who play it as though they had been performing it all their lives. Next comes the Trio for Piano, Violin and Violoncello in D Major, Kinksy/Halm Anhang 3, 1799. It is in two movements, an Allegro and a Rondo, of a little over six minutes each. The work seems a bit more demanding than Hess 47, and the Trio play it with great skill. But in actuality, two pages of the score were missing, reconstructed here by Robert McConnell and recorded in its present overhauled state for the first time. For a time scholars thought that Mozart might have written the piece, and maybe he did, but most authorities today attribute it to Beethoven. Its breezy, infectious Rondo is absolutely charming. Finally, we have the Trio for Piano, Violin and Violoncello in E-Flat Major, Opus 63, from 1806, apparently a transcription by Beethoven from his own String Quintet Opus 4 of 1795, itself an arrangement of his earlier Wind Octet. Again, there has been some controversy over the years about whether the composer had anything at all to do with it. Present-day scholars, though, generally accept that Beethoven transcribed it himself, and the Beethoven Project Trio gave it its American première performance on March 1, 2009. The Trio in E-Flat Major is in four movements and lasts a total of about thirty-four minutes. As in the other works, the Beethoven Project Trio are light and bright and deliver a glowing performance, with the Andante in particular lilting and graceful. The Cedille audio engineers miked the Trio's three instruments fairly close-up, yet they are not in-your-face close. Recorded in 2009 at the American Academy of Arts and Letters in New York City, the sound is always warm and smooth while still displaying plenty of detail and air. What's more, the acoustic offers a radiant ambient glow that is most realistic and appealing. James Judd, New Zealand Symphony Orchestra. Naxos 8.557577. 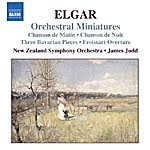 For listeners used to hearing only Sir Edward Elgar's big orchestral works--the First and Second Symphonies, the Pomp and Circumstance marches, the Enigma Variations, and the like--these orchestral miniatures might come as a delightful surprise. They may be short, but they are really quite sweet and enchanting. Things begin with the Froissart Overture, written in 1890 and one of Elgar's first popular pieces. It has a nice, dashing swagger to it, inspired by some chivalric lines in a poem by Sir Walter Scott. Following that is a selection of tunes that remind one of the English romantic-pastoral tradition: May Song, Carissima, Three Characteristic Pieces, Chanson de Matin, and Chanson de Nuit. They are slow, lovely pieces with a certain quality of Delius about them. The Romance for Bassoon and Orchestra is also charming, a work that exploits the poetic quality of the instrument. Then, things conclude in lively fashion with Three Bavarian Dances, which contrasts dramatically with the lyrical tone of most of the preceding pieces and provides a lively ending to the album. Conductor James Judd makes the most of the music's varying moods, and he and his New Zealand Symphony Orchestra seem born to play the tunes. They treat the music affectionately, understandingly, generating a totally pleasant listening experience. As for the sound, it is among the best I've heard from this company. For the first few minutes I listened, I thought it was perhaps a tad too forward in the upper midrange, but the ear adjusts, and it adds a bit to the disc's clarity overall. There is a fairly wide stereo spread to complement the proceedings, a good sense of depth, robust dynamics when needed, and an equally brawny bass drum. This 2006 recording, offered at a bargain price, provides more than its money's worth. Also, Song Improvisations; Variations on I Got Rhythm. Wayne Marshall, piano; Aalborg Symphony Orchestra. EMI 50999 6 06688 2. George Gershwin (1890-1937) burst onto the musical scene with his Rhapsody in Blue from 1924, a fusion of sophisticated orchestral music and American jazz, unique for the times. 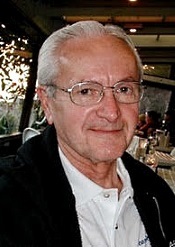 In the following thirteen years before his untimely death, he practically changed the way people would look at serious music forever, with the Concerto in F, An American in Paris, the Cuban Overture, the opera Porgy and Bess, and a whole series of film and Broadway show songs. 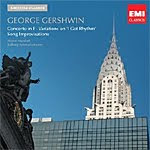 The first half of the disc under review, a 2010 reissue from EMI, consists of a succession of piano improvisations on Gershwin tunes. Pianist Wayne Marshall presents them sensitively, with a piano sound almost as delicate as the pianist's touch. Rather than offering rousing, overture-type pieces, especially to begin the disc, Marshall provides mostly ballad numbers like "I Loves You, Porgy," "They Can't Take That Away from Me," "Summertime" (understandably, the centerpiece of the collection), "Let's Call the Whole Thing Off," "Love Walked In," "By Strauss," and "Our Love Is Here to Stay." Marshall takes none of the numbers in a particularly "jazzy" manner but, rather, reflects the more-thoughtful side of the works, most of which the composer wrote for shows and a couple for his opera. Marshall's approach to the music is reflective, contemplative, acute, yet often sensuous. Gershwin wrote the I Got Rhythm Variations for Piano and Orchestra in 1934 for a concert tour celebrating the tenth anniversary of Rhapsody in Blue. Here and in the Concerto in F, the Danish Aalborg Symfoniorkester accompanies Marshall, with the pianist leading from the keyboard. Again, Marshall follows a serious, non-jazzy course with the music, with the percussion leading the way in the first few minutes of the Concerto. Of course, the Concerto is a bit odd, anyway, the piano never quite dominating the proceedings the way you would expect it to. Then, to add to the novelty, Marshall plays the first movement piano parts at quite a healthy clip, which doesn't always lead to a lot of inner feeling, his moving so quickly. Yet he demonstrates some dazzling playing, and there is no question the Concerto is more lively, if not more exhilarating, than we usually hear it. The second-movement Adagio is where the performance shines, though, very languorous and soulful in the trumpet section and then more breezy and buoyant when the piano enters. The final movement begins with a segment seemingly at odds with everything that went before it, more like a Rachmaninov concerto, until Marshall and the composer take us back to the work's initial mood. The solo piano pieces, which EMI recorded in 1992-93, appear slightly subdued, the piano a little recessed. Fortunately, it suits Marshall's interpretations, which are subtle and refined. When he's joined by the orchestra in the Variations, recorded in 1994, and the Concerto, recorded in 1995, we find an excellent stage depth, good instrumental air, wide dynamics, quick transient response, and a reasonably deep bass. The orchestra itself seems a bit small, so there is an unusual degree of clarity on display, although at the expense of a somewhat thin sound. At over seventy-seven minutes, the album offers good value for the money, even if Marshall's music-making may not be exuberant enough to light up everyone's listening room. This is Gershwin for folks who believe we should give the composer his fair due as a heavyweight in the music world, without sacrificing the joy that accompanies his compositions. 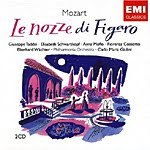 If, for some completely unknown and off-the-wall reason, you have never bought this complete performance of Mozart's Marriage of Figaro with Giulini, Taddei, Schwarzkopf, et al, the folks at EMI give you another chance. Best of all, they do it at mid price, making the set all the more attractive. This 1959 recording has everything going for it, so it's no wonder it became an instant classic. It's got a dream cast and conductor (Giuseppe Taddei, Elisabeth Schwarzkopf, Anna Moffo, Fiorenza Cossotto, Eberhard Wachter, and Carlo Maria Giulini), a great orchestra in its prime (the Philharmonia), the legendary Walter Legge as producer, and the capable Douglas Larter as balance engineer. If I have any misgivings about this issue, it's that EMI used the same transfer for it that they made in 1989. Although I was hoping for one of the company's newer ART-technology remasterings, it still sounds good for its age. Or for any age. I also missed a complete libretto. Instead, all we get is an informational booklet with a synopsis of each scene. Finally, I'm not too keen on the two discs being housed in envelopes and a box, rather than in a normal jewel case. Oh, well.... For the money, it's still worth it. Philippe Jordan, Paris National Opera Orchestra. Naive V5233. 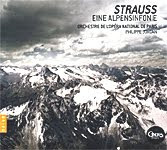 It continues to bemuse and annoy me that critics over the years have disparaged Richard Strauss's Alpine Symphony as lightweight, picture-postcard music. Yet this is the second recording of the work I've reviewed in the past few months, indicating that at least the public still enjoys the music. And why not: No matter what the critics say about it, it's still immensely entertaining. Strauss worked on it off and on for several decades until premiering it in 1915. Originally, he had intended to compose a traditional four-movement symphony whose theme as he put it, "...represents moral purification through one's own strength, liberation through work, worship of eternal, magnificent nature." Whatever, he came up with an attractive tone poem, the musical depiction of a day's ascent up an alpine mountain, a storm at the top, the climber's contemplation of Nature, and the descent. Philosophy aside, that's more than enough. The work comprises twenty-two movements, with titles telling the tale, things like "Night," "Sunrise," "The Ascent," "Entry into the Forest," "Wandering by the Brook," "By the Waterfall," "On Flowering Meadows," "An Alpine Pasture," "On the Glacier," "Dangerous Moments," "On the Summit," "Calm Before the Storm," "Thunderstorm," "Sunset," and a return to "Night." Strauss describes each of these events in music, and although there may a few too many climaxes along the way, it is all quite vivid and imposing. After all, Strauss calls for a huge orchestra, some 120 players, and the piece is vast in scope, grandiose, often majestic, and not a little, in part, bombastic. That's pretty much how maestro Philippe Jordan presents it, with lots of pomp and ceremony. Yet he manages the hushed, quieter junctures well, too, like the night giving way to sunrise, and the entry into the forest. It seems to me that Jordan rushes some sections just a little, but then in the big moments he slows down and lingers long enough to create a grandly eloquent statement. The time on the glacier, for instance, is indeed perilous, and by the time we reach the summit and the "Vision," circumstances have become most inspiring and uplifting, awesome, in fact. While Jordan still doesn't quite set the blood to racing the way my favorite conductor and ensemble in this work do, Rudolf Kempe and the Dresden State Orchestra (EMI), Jordan does come close enough to call it almost even. And Jordan draws some exquisitely beautiful playing from his Paris National Opera Orchestra in a performance both sensitive and heroic. Highly enjoyable. The sound, recorded by Naive in November, 2009, appears fairly closely recorded, yet with some instruments displaying a deep stage depth, the overall result is reasonably natural. The sonics provide a wide frequency range and dynamic response, a sweetly extended high end, an effectively deep bass, and a midrange well balanced with the top and bottom. Clarity emerges above average without being overly bright, forward, or edgy, although there are minor instances of all three conditions present. What's more, the sound is well spread out between and beyond the speakers, a nice expansive quality that adds to the majesty of the music. With the aforementioned Kempe recording to consider (although in America it's only available at this time in an EMI box set, and as a single disc an EMI-Toshiba remastering from Japan), along with Previn/VPO (Telarc), Haitink/Concertgebouw (Philips), Blomstedt/SFSO (Decca), Thielemann/VPO (DG), and others, there is a wide field of competitors for one's money. Jordan makes another. His is a skillful production all the way around. Also, Symphonic Variations. Marin Alsop, Baltimore Symphony Orchestra. Naxos 8.570714. It's hard not to like Dvorak's final symphony, and because of its popularity as one of the most-beloved pieces of music in the world, the listener has a wide choice of recordings and interpretations from which to choose. 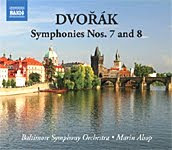 Certainly, Marin Alsop's recording for Naxos with her Baltimore Symphony Orchestra must rank among the top contenders. Czech composer Antonin Dvorak (1841-1904) wrote his ninth and final symphony, "From the New World," in 1893 while on a five-year stay in America as the director of the National Conservatory of Music. In the symphony, the composer combined elements of Native-American and African-American cultures, along with influences from his own Bohemian background, producing a classic that many people cherish among the best musical compositions ever created. One can hardly knock any part of Ms. Alsop's reading. The opening movement has verve and snap. In the following Largo I can't remember hearing the cor anglais sounding more mournful. The Scherzo sparkles, and as its Molto vivace marking indicates, it has appropriate vivaciousness. Lastly, the Finale thunders to a close with great impact and high good spirits. All very nice. There are moments of transition that one might have hoped would be smoother, but overall it's a most satisfying performance. Two other quibbles, though. First, the sound is a mite thick for my tastes. The coupling includes Dvorak's early Symphonic Variations, which because of their lighter scoring come off sounding more transparent. Second, the Naxos budget discs are creeping up in price, and a person can buy Istvan Kertesz's superb LSO versions of Dvorak's Eighth and Ninth Symphonies (1966 and 1963, respectively) coupled on a mid-price Decca Originals CD for just a few dollars more than the Naxos release. The Kertesz disc would be my number-one recommendation in these works regardless of price, so the Alsop Naxos recording definitely has tough competition. Canadian Brass Salute America. Opening Day Entertainment Group ODR 7382. 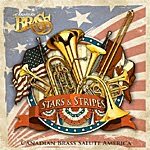 The Canadian Brass, one of the world's premiere musical ensembles, celebrate American patriotism in this album of prominent hymns and marches. They exhibit their usual spit and polish in performances that are, if anything, almost too refined. Four additional players on percussion--drums and cymbals--augment the five regular members of the group. In the opening number, John Philip Sousa's "Stars and Stripes Forever," I thought they still sounded a bit thin for the material, my being more used to larger brass bands playing the march. But in most of the rest of the repertoire, they seem perfect. After all, they play tunes from Revolutionary War days ("Chester") through the Civil War ("Battle Hymn of the Republic," "When Johnny Comes Marching Home," "Dixie's Land") to the First World War ("Over There," "You're a Grand Old Flag"). The smaller number of instruments probably helps simulate how most bands of those eras would have sounded, especially when you consider that the drums used are replicas of actual drums of the years represented, as is the drumming technique. After the Sousa march, we get a salute to the U.S. armed forces with "The Army Goes Rolling Along," "Anchors Away," "The Air Force Song," "Semper Paratus" ("Always Ready," Coast Guard), and "The Marine's Hymn." Again, I would have preferred a larger number of players, but the performances are so good, who cares? Then we hear "The Star Spangled Banner," but not in a rendering we might easily recognize. It's the original 1814 Baltimore version. Wisely, the Brass follow it up a few tunes later with the more-familiar, updated arrangement. Also along the way we get the customary nationalistic music we would expect, nay, demand of such a collection: "Shenandoah"; "Hail Columbia" ("The President's March," today the entrance march of the Vice President); "My Country, 'Tis of Thee"; the march "National Emblem," done up in high good spirits; and, of course, "America the Beautiful," which moved me almost to tears. The Brass conclude the disc, appropriately for them, with the Canadian National Anthem, "O Canada," as "a gift to Americans." The whole album is quite stirring, and you might find yourself at times wanting to stand up and cheer, or at least sing along. The recording, made in April, 2010, helps matters considerably, too. The sound displays plenty of stage depth, with a solid dynamic punch and a deep bass that comes over with gut-thumping authority. We also get an excellent frequency response, neither too forward nor too recessed, with a top and bottom well balanced with the midrange. In short, this is a great-sounding disc all the way around. Kati Debretzeni, violin; John Eliot Gardiner, English Baroque Soloists. Soli Deo Gloria SDG 707 (two-disc set). 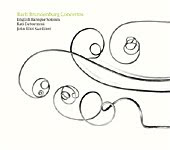 The first thing I thought as I began listening to these newly recorded Brandenburg Concertos from John Eliot Gardiner was, Dude, slow down. Ever since the period-instruments movement started picking up steam in the Seventies and Eighties, conductors seem to have been vying to see which one could get through the material fastest. They always do this, mind you, on the presumption that authenticity demands fast tempos in the outer movements, as opposed to the more-traditional late-nineteenth and early twentieth-century performing practices that featured a slower pace. OK, so call me old-fashioned. While I have nothing against most interpretations of Baroque material on period-instruments and, in fact, cherish many recordings of them, I also prefer a relaxed, easy-to-digest technique and favor conductors who follow a sort of compromise approach. Here, Gardiner and his English Baroque Soloists are of another mind, determined to outrace the competition in their very first recordings of the complete Concertos. Some of Gardiner's speeds are so fast, he could almost have gotten all six Concertos on a single CD. Fortunately, for all the huffing and puffing they do, the performers never sound too hurried, nor do they leave one completely breathless, probably because they play so well. Anyway, as you doubtless know, J.S. Bach presented his six Concertos to Christian Ludwig, margrave of Brandenburg-Schwedt, in 1721. Apparently, the ruler had taken a fancy to Bach's music and asked him to write something especially for him, the result being the pieces we have here. In them, Bach employed the widest selection of instruments he could find and highlighted different instruments in each work. Even though other composers of the time influenced him, Bach's compositions come across for the most part as highly original. In Concerto No. 1 in F major (BWV 1046) for violino, piccolo, oboes, horns, bassoon, strings, and continuo, we get the biggest, grandest of the six works. Well, at least it's the biggest in terms of the numbers of players employed, not necessarily in length. However, Bach did divide the work into a number of sections, much like a suite. Indeed, the results sound a lot like Handel's Water Music, which Handel had written few years earlier. Under Gardiner, the First Concerto shows plenty of spirit, and if the music weren't quite so repetitious it might have become one of the more-popular pieces in the set. The familiar Concerto No. 2 in F major (BWV 1047) for violin, flute (recorder), oboe, trumpet, strings, and continuo, emphasizes the trumpet, and with Gardiner taking it at almost breakneck speed, it must have left trumpeter Neil Brough with sore lips. Seriously, though, we get some amazing playing from him, leaving one practically more awestruck than entertained. Bach wrote Concerto No. 3 in G major (BWV 1048) entirely for strings and continuo, and although Gardiner still takes the piece a tad too fast for my liking, the melodies are so infectious, it's hard not to come away humming the tunes. When Gardiner does take it easy, the upshot is most satisfying. Concerto No. 4 in G major (BWV 1049) for violin, flutes (recorders), strings, and continuo features the recorders above all, and with speeds in a more comfortable range and playing of virtuosic caliber, this Concerto comes off best of all. The Andante is extraordinarily beautiful. Ironically, perhaps, Concerto No. 5 in D major (BWV 1050) for clavier, violin, flute, strings, and continuo is one of the longest of the six Concertos yet scored for the smallest ensemble, about seven players. The emphasis is on the flute, and as in No. 4 Gardiner takes things at a comfortable pace, letting the music breathe a bit. The closing Allegro steals the show with its bouncy, catchy beat. Finally, we get Concerto No. 6 in B-flat major (BWV 1051) for strings (mostly violas) and harpsichord. This one tends to repeat a lot of what went before, offering a fresh tune only in the concluding section. Not one of my favorites, but Gardiner gives his best shot. Engineers for the Soli Deo Gloria label recorded the music during and after a live performance in Paris on January 10-12, 2009. It appears to me that they miked the live recordings more closely, making them sound a little more raggedy-Annie than the ones recorded later at a more moderate distance. The close-up recordings are clean and clear, to be sure, but they also have a more-clangy aspect to them and very little depth of field, as opposed to the warmer, fuller, smoother, and richer sound of the more-distantly miked recordings. One can notice these differences most readily in Concertos 2 and 3. On a final note, a word of appreciation for the person or persons responsible for the packaging. The two discs come housed in a kind of hardback book, with two inner sleeves for the CD's and a thirty-six page commentary fastened inside. The excellent booklet notes include remarks on the Concertos from not only Maestro Gardiner but various members of the band as well. Also, An American in Paris; Porgy and Bess suite; Gould: Latin-American Symphonette. Leonard Pennario, piano; Felix Slatkin, Hollywood Bowl Symphony Orchestra. EMI 50999 6 06691 4. First, a word about available recordings. While these re-released EMI performances have been around for quite some time and have established a strong following, I would not deem them first-choice recommendations in any of the works involved. For top honors, I would still consider Bernstein (Sony), Fiedler (RCA), Previn (EMI and Philips), and Tilson Thomas (Sony and RCA) the leading exponents of this music. 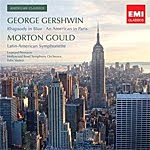 That said, maestro Felix Slatkin, pianist Leonard Pennario, and the Hollywood Bowl Symphony Orchestra do considerable justice to the music of George Gershwin (1898-1937) and Morton Gould (1913-1996). Things begin with Gershwin's Rhapsody in Blue (1924), orchestrated by Ferde Grofe, a performance fluid, suave, polished, and certainly not lacking in energy. The reading comes off as a cross between a full orchestral treatment and smaller, jazz-band arrangement (Gershwin having originally composed it for Paul Whiteman's "symphonic" jazz orchestra). So expect a few jazzy flourishes along the way. Although Pennario doesn't seem entirely attuned to the soul of jazz, he acquits himself well enough. Next is Gershwin's An American in Paris (1928), orchestrated by Gershwin himself. It is, of course, a descriptive tone poem portraying an American visitor to Paris in the Twenties strolling about and taking in the sights and sounds of the city. Perhaps because of the more colorful nature of the score, I found Slatkin's interpretation a bit more persuasive than in the Rhapsody. After that we have the famous suite (1942) from Gershwin's opera Porgy and Bess (1935), arranged by Robert Russell Bennett as a "Symphonic Picture." Again, maybe because of the characteristics of the music and Slatkin's affinity for it, I found this suite most effective of all, especially the more-languid interludes. "Summertime" never sounded better. Complementing the Gershwin tunes, we have Gould's Latin-American Symphonette (1940), also a suite, this one comprised of a Rhumba, a Tango, a Guaracha, and a Conga. They, too, display high good spirits, although, frankly, none of these readings drew me to them the way those of the other conductors mentioned above do. The recordings, newly reissued by EMI in 2010, derive from dates in the late Sixties. The booklet insert says that EMI first published the Rhapsody in 1967 but further notes that the other works have "unknown" recording dates and locations. Interestingly, EMI identify the ensemble as the "Hollywood Bowl Symphony Orchestra" even though the orchestra didn't go by that name at the time; it had disbanded years before and the Los Angeles Philharmonic performed the summertime Bowl concerts, with today's Hollywood Bowl Orchestra formed in 1990. Be that as it may, the sound in the Gershwin numbers is a tad bright and forward in the upper midrange, with a big, thumping bass. It makes for an impressive effect, if not always too realistic, being a little too thin in the middle frequencies and upper bass, with a somewhat hard-edged response overall. Making up for any shortcomings are a wide stereo spread, a respectable depth of field, a strong presence, and plenty of air around the instruments. The Gould piece, on the other hand, is smoother, richer, and fuller, sounding much more natural in the process. A final note: The disc contains almost eighty minutes of music, about the limit of a CD. To put that into perspective, it's the equivalent of four full sides of LP content. You can't say you don't get your money's worth. Cavatina Duo: Eugenia Moliner, flute; Denis Azabagic, guitar. Cedille CDR 90000 117. The Balkan Project celebrates the varied music of the Balkans: Greece, Macedonia, Albania, Bulgaria, Serbia, Montenegro, Bosnia, Herzegovina, Croatia, and parts of Turkey and Romania. There's a little here of the folk music of all these countries, done up in modern arrangements for guitar and flute. And varied the music surely is, given that the area has seen the influences of numerous other peoples for about as long as history has recorded such things. The Cavatina Duo (flutist Eugenia Moliner and guitarist Denis Azabagic) are wonderfully expressive in the music, creating little mood pieces in each of the short works on the program. The pair are flawless virtuosos, fully in command of the music and able to communicate it as fluidly, I would imagine, as any other performers could do for any possible audience. If the duo sound possibly more suave, more polished, more sophisticated than the traditional or folk or gypsy music suggests, you can't blame the performers for simply being so good. Among the sixteen works on the album, things begin with "Raven Dance" from Serbia, a party or wedding dance with a zesty appeal. After that tangy opening number, we get "Kad ja podjoh na Bembasu," an old Bosnian song of longing and passion. Then, there's "Eleno, Kerko Eleno," a Macedonian love song, followed by "Kalajdzisko Oro," or "The Tin Smith's Dance," with its splendid interplay of harmonies skipping on a breeze. "Psevdah No 2" was inspired by a Bosnian song called "Clear Water." Evoking more of a clear sadness, it is one of the highlights of the disc, if a little gloomy. I think you're getting the idea. All of the music seems calculated to elicit some melancholic spirit, perhaps a reflection of the turbulence in the Balkan area over the years. A few other pieces I enjoyed: "Sivi grivi," a Bulgarian dance with exotic-sounding rhythms; "Kopanitsa da Kalantchatska," also from Bulgaria and also providing swirling dance rhythms; and "The Shepherd's Dream" from Croatia, probably the most markedly beautiful tune in the collection. As for Cedille's sound, it goes without saying that this small company continues to provide fine sonics. This time, engineer Bill Maylone mikes the two performers either very closely together, producing almost a monaural effect, with the stereo from the two channels creating a sweet ambient bloom around the instruments; or a little farther apart, widening the stereo field. In any case, the overall acoustic is soft, warm, and ultrasmooth, quite pleasant, actually, for easy listening, although somewhat devoid of sparkle. 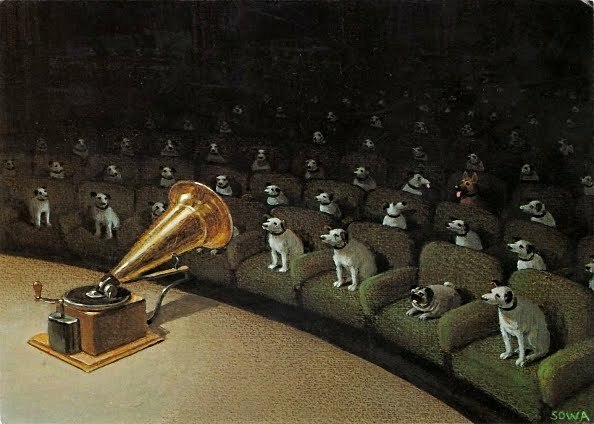 Occasionally, the recording shows off with a strong transient impact or a wide dynamic response, but mostly it is content to reflect a natural, realistic aural image. One final note: The folks at Cedille are not big on self-promotion. There is practically nothing in the disc's artwork, front or back cover, to indicate to a potential buyer just what the album is all about. The Balkan Project could just as well be the name of a punk-rock band for all I would have known. I only mention this because it's the kind of album people might easily pass over if they didn't know exactly what they were looking for. Andreas Spering, Capella Augustina. CPO 777 300-2. You'll recall that because of Beethoven's long shadow, Brahms had a hard time writing the first of his symphonies, and people suppose he rather sneaked up on the subject via the two Serenades of the late 1850s, his "symphonies in disguise" as some people have called them. Yet he intended the Serenade No. 1 as a small chamber piece for nine instruments before he scored it for a full orchestra. Now, it's the match for any orchestral material the man produced, and it predated the première of his symphonic output by nearly twenty years. The Serenade No. 1 sounds, in fact, like a symphony. However, like most serenades, it's gentle, lyric, and cheerful. And it is a fairly long work of its kind, a little over forty-five minutes, but never less than delightful, the composer stringing together a seemingly never-ending series of charming melodies. The Serenade No. 2 is shorter, about half the length of No. 1, and slightly less outgoing, with no violins involved; and it, too, has its appeals, not the least of which is its chamber-music quality. Both works, especially the Second Serenade, harken back to a kind of Viennese classicism that works to charming effect. I mention the chamber-work qualities of both works because the Capella Augustina is a chamber group of about two dozen players who perform on period instruments. So that's one of this recording's claims to fame--that and its delightful phrasing and melodic interpretation. The result, done up in warm, ultrasmooth, highly natural sonics, is a more immediate performance than we're used to, more intimate, and maybe a touch more winsome than most big-scale readings. Certainly, the disc is worth investigating by anyone interested in these two pieces. Nicolai Gedda, Victoria de los Angeles; Andre Cluytens, Paris Opera Orchestra and Chorus. EMI Classics for Pleasure 0946 3 93376 2. 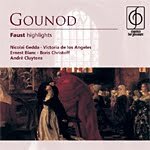 The most striking things about this classic, 1958 recording of the opera Faust by Charles Gounod (1818-1893) are its energy and drive. It is quite possibly the liveliest production of the work you’re likely to hear. Andre Cluytens directs the Paris Opera Orchestra and Chorus with a vigor and enthusiasm one seldom encounters in any opera recording, let alone this one, and Nicolai Gedda as the ill-advised Faust and Victoria de los Angeles as the naive heroine Marguerite are equally brilliant, particularly de los Angeles. Moreover, Boris Christoff as Mephistopheles is wonderfully sinister, cackling away like the demented demon he is, and catching fire, no doubt, from the conductor. For an older recording, the sound is remarkably vivid, too, with good clarity, depth, and stage presence, if not a lot of heft or warmth. It comes off a little forward and wiry, and I would liked to have heard a little more deep bass, especially from the organ, and maybe a touch more ambient bloom. But voices project well, so I shouldn’t complain when the performance is mainly about voice, anyway. Although this single disc of highlights runs to some seventy-five minutes, for those listeners wanting the complete opera, EMI have also issued the three-disc set in their “Great Recordings of the Century” series. Still, for about five or six bucks, it’s hard to pass up this truncated release because, well, for one, the opera is a bit corny and sentimental by today’s standards and a highlights disc still does it justice; and, two, even if you’re just mildly interested in it, you won’t have expended much to satisfy your curiosity. Also, Dances from Aleko; Scherzo in D minor. Paavo Jarvi, Cincinnati Symphony Orchestra. Telarc CD-80670. Paavo Jarvi’s Telarc releases have been somewhat hit-and-miss with me, but this one I enjoyed quite a lot. Was there ever a more romantic and more melancholy piece of music than Rachmaninoff’s Second Symphony? It’s no wonder Tchaikovsky’s took a liking to the younger composer’s music early on; Rachmaninoff (or Rachmaninov) was a natural successor to Tchaikovsky’s brand of Romanticism, carrying it well into the twentieth century. Maestro Jarvi does well by the score. Jarvi takes the big, lengthy opening movement at a brisker pace than I’m used to with my favored Andre Previn (EMI) recording, but Jarvi maintains the slightly despondent opening mood nicely until the more starry-eyed subject kicks in. The second movement Scherzo is appropriately extrovert, filled with the kinds of lush melodies for which Rachmaninoff is known. Then it’s on to the famous Adagio and its celebrated love theme, and the Finale, which always seems to me from some other symphony altogether. No, Jarvi doesn’t quite express the same degree of passion or the same sense of longing that Previn conveys, but it’s close. Moreover, I liked Jarvi’s account somewhat better than I liked Jesus Lopez-Cobos’s rendition with this same Cincinnati Orchestra on Telarc just a few years earlier. In addition, it’s nice to have the two dances from Aleko as well as the little Scherzo in D minor along for the ride. Sonically, there is nothing to complain about, either. The Telarc recording is exemplary in almost every way, but most especially in its tonal balance, imaging, and stereo spread. By comparison, the 1973 Previn disc still sounds wonderful, but this 2006 Jarvi disc almost equals it for fullness, breadth, and depth. In other words, Jarvi joins a select company of Rachmaninoff conductors worthy of first-choice consideration. Of course, the Previn is cheaper, but you knew that. Incidentally, for those people with SACD playback capability, the folks at Telarc also make their disc available in an SACD hybrid multichannel format. Also, Brazilian Impressions; Rossiniana. JoAnn Falletta, Buffalo Philharmonic Orchestra. Naxos 8.557711. Ottorino Respighi (1879-1936) might have been just another ordinary composer if he hadn't discovered his talent for (and the public's appreciation for) suites of short, highly descriptive tone paintings. He made his mark in 1916 with The Fountains of Rome, which he described as a "Symphonic Poem." From then on, it was The Pines of Rome, Three Botticelli Pictures, The Birds, The Festivals of Rome, and so on. The present disc contains two more such suites, Church Windows and Brazilian Impressions, plus a tribute to Rossini called Rossiniana. 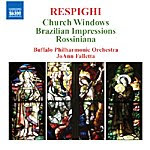 The four-part Church Windows, which began life as a series of piano pieces, premiered in orchestral form in 1927, and like others of Respighi's works, it is big and slightly medieval sounding, inspired by his own religious convictions and by scenes from stained-glass windows. JoAnn Falletta and the Buffalo Philharmonic play them more gently than I've heard them before, yet the musicians well capture the fervent spirit of the music, both in its grandeur and repose. The three Brazilian Impressions that follow are less descriptive than Church Windows and more like hints and suggestions of the composer's trip to Brazil in 1927. The music is actually more subtle and atmospheric than you might expect. Finally, Respighi always liked Rossini's music, as his ballet La boutique fantasque had shown in 1919. So he turned again to the inspiration of Rossini in 1925 with what he called piano "trifles," later orchestrated as a suite of four numbers. They possess a warm Italian glow, which, again, Falletta and the Buffalo players amply capture. This is not great music, but it is charming and entertaining. The sound Naxos engineers provide for the music is first-rate as well. Indeed, it is among the best recordings I've heard from Naxos in quite a while. And given the number of recordings the Naxos people produce every month, that's saying something. The sonics are ultrasmooth, yet reasonably well detailed, too, with a generous stereo spread and a warm, ambient acoustic. Let's say the sound matches the music. Also, Kristallene Gusli. Kirill Karabits, Bournemouth Symphony Orchestra. Naxos 8.572405. If you are like me, you may be more familiar with the Carmen Suite, the arrangement Russian composer Rodion Konstantinovich Shchedrin (b. 1932) made of Bizet's music in 1967 than anything else he's done. 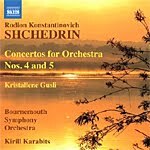 I confess I had reviewed an earlier recording of other Shchedrin works a few years ago and couldn't remember them. I'm afraid it's that kind of music: enjoyable, original, inventive, evocative, highly personal, and entirely forgettable. No offense intended, however, because I mean that as a kind of backhanded compliment; Shchedrin's music is enjoyable in the moment but not the kind of thing you go around humming afterwards. Anyway, on this new Naxos release we get two Concertos for Orchestra from Shchedrin and one little tone poem, all of which Naxos recorded here for the first time. They break no new ground, but they are engaging enough to occupy a pleasant hour of one's time. 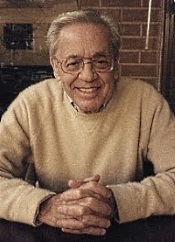 Shchedrin fills his 1989 Concerto for Orchestra No. 4 "Khorovody" (Roundelays) with an abundance of clever ideas and unusual combinations of instruments. Played as a single, extended series of round dances nearly a half an hour long, it is mostly gentle and relaxed, accelerating as it goes along, with echos of whistling winds, sleigh bells, distant thunder, folklike dance tunes of the composer's invention, with a recurring recorder keeping it all knit together. By the time it concludes, the music has built up into a minor fury, finally subsiding back into the calm in which it started. Conductor Kirill Karabits and his Bournemouth Symphony players maintain an easygoing approach to the music and appear to enjoy a time well spent. Concerto Orchestra No. 5, also premiered in 1989 and again set in a single movement, is a bit shorter than No. 4 at a little over twenty minutes and scored for a slightly smaller ensemble. This time Shchedrin uses a well-known Russian folk tune in the work, but the mood remains the same as the composer takes us on a musical journey via horse and carriage through various landscapes. Shchedrin says these treks are nostalgic childhood memories of his. Fair enough. It's all enjoyable stuff if somewhat light and not a little wistful in its sonorities. I rather enjoyed the brief concluding piece, Kristallene Gusli (Crystal Psaltery), best of all. Composed in 1994, it reminds one of exactly what conductor Karabits says of it, describing it as sounding "like Japanese wind chimes." There is plenty of clarity to the Naxos sound, making the diverse solo percussion instruments stand out smoothly and accurately. The orchestra never appears fogged over but displays ample detail and air. There is a particularly wide stereo spread involved, so the overall effect can be quite dramatic, though not overpowering. The only minor drawback is that the music can get a trifle bright and forward at times; however, it is never too distracting. Daniel Barenboim, piano; Rafael Kubelik, Bavarian Radio Symphony Orchestra. BR Klassik 900709. My earliest recollection of Barenboim performing Mozart was his 1968-71 recordings of the late Mozart symphonies on EMI with the English Chamber Orchestra. For their spark and imagination, I thought at the time they were the best all-around performances of the symphonies I had heard, and I continue to prize them highly. So it was with a good deal of eager anticipation that I listened to these Mozart piano concertos recorded around the same time, 1970, that he conducted the symphonies, with Barenboim this time on piano and Rafael Kubelik leading the Bavarian Radio Symphony Orchestra. Surprisingly, the folks at BR Klassik are releasing the performances now for the very first time, but better late than never, I suppose; they did not disappoint me in any way. Piano Concerto No. 22 in E-flat major, KV 482 is an analogue studio recording sounding better than almost anything you'll find today. 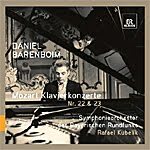 The interpretation is wonderfully dynamic under Kubelik, he and his orchestra are perfect accompanists for Barenboim, whose playing is lively and fresh, just as his symphony recordings of the same era were. The opening Allegro is joyous, despite quick tempos the music never seeming hurried, followed by a slow middle movement, with feelings of longing and loneliness as effective and affecting as anyone could ask. Then Mozart changes the mood entirely with a bouncy, catchy final Allegro, which, nevertheless, Barenboim manages to merge seamlessly with the wistful preceding passages, making a well-knit whole that is maybe the best I've ever heard in this work. Concerto No. 23 in A major, KV 488 is a live recording, also from 1970. The booklet note tells us that No. 23 was the very first Mozart concerto Barenboim ever played--at the age of eight! I guess you could say he knew it pretty well. No. 23 has a more mellow, mature quality to it than No. 22, with a more melancholy slow movement, and the pianist, conductor, and orchestra bring to it great intensity and emotional thrust, yet without any sense of the melodramatic. Although Barenboim and Kubelik make both pieces highly personal, they keep their own emotions from intruding on the music, letting Mozart speak for himself. Moreover, the excellence of the sound complements the brilliance of the performances, especially in the studio recording. There is great presence here, with a big, grand, natural, you-are-there realism that doesn't sacrifice its concert-hall warmth and ambience. You'll find these recordings clean, translucent, and dynamic, the sonics as vibrant and engaging as the music. It's a splendid album from every angle, an absolute delight, and a complete mystery why it sat waiting forty years for somebody to release it. These concertos are little gems, and under Barenboim and company they sparkle. Simon Rattle, Berlin Philharmonic Orchestra. EMI 50999 5 01228 2 0 (two-disc set). You can count on Rattle to bring out all the longing, the suffering, the joy, and the transcendent beauty of Mahler's Ninth Symphony. He did it before in another live performance for EMI (with the Vienna Philharmonic), and he pretty much does the same here as I remember from the earlier account. Rattle takes the huge first movement, the "song without words" as it is sometimes called, very slowly, deliberately, painstakingly; the second and third movements he takes rather briskly, certainly appropriate to the Scherzo; and in the fourth movement Rattle wraps things up in a world of his own, rapturous, although not necessarily always completely affecting. 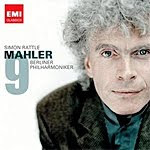 Interestingly, at the time Rattle made this recording (October, 2007), the Berlin Philharmonic had already released at least three better performances of Mahler's Ninth: two with DG, the earlier one with its longtime conductor, Herbert von Karajan, and a later one with Claudio Abbado, and one with EMI and Sir John Barbirolli. Rattle's interpretation doesn't quite measure up to those three, coming off a little too dramatically, with too much of Rattle involved and not enough of Mahler. Upon direct comparison to some other favorites of mine in this piece, I continue to prefer Haitink (Philips) for pure beauty, the aforementioned Barbirolli for compactness of style, and Klemperer (EMI) for sheer structural soundness. Not to take anything away from Rattle, who is letter perfect, but these other three conductors seem to coax even more natural feeling from the music than he does. About the sound: You'll not find the live performance at all distant or particularly beclouded as sometimes occurs when things are done in concert. Indeed, the recording seems to me too closely miked and lacking in depth. The spread is certainly wide enough, and the dynamics are fine, but there's no quality of spark or vividness about it to set it apart as anything particularly special. I suppose one could be kind and refer to it as "concert-hall realism." And a final observation: The reading is just slightly too long for a single disc, yet EMI provide no coupling on this two-disc set. 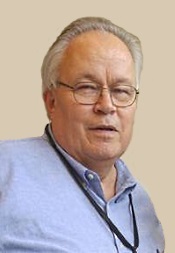 Michael Halasz, Staatskapelle Weimar. Naxos 8.570994. Max Bruch (1838-1920) wasn't exactly renowned for his symphonies, even though he wrote three of them. Violin concertos, yes, and cello concertos, choral works, and such. 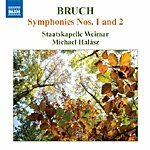 Consequently, we don't get many recordings of his symphonies, and whether you like them or not, it is instructive to have his first two on this disc, conducted by Michael Halasz and played by one of the world's oldest ensembles, the Staatskapelle Weimar. Bruch started his Symphony No. 1 in E-flat major, Op. 28, in 1867, dead in the middle of the Romantic period of classical music. And it sounds it. The composer dedicated the work to Brahms, whose music obviously influenced him greatly, given that much of Bruch's first symphony reminds one of warmed-over Brahms. There's a quiet beginning to the Allegro of the Symphony No. 1, followed by a big, theatrical central subject. Then, the Scherzo seems for all the world like something out of Mendelssohn's Midsummer Night's Dream, at least for a while before taking a turn at more original and more lyrical content. Bruch marks the slow third movement "grave" for good reason, yet it is not entirely funereal. The final movement is the most innovative (and cheery) of the lot, pressing on with a lively rhythmic vigor. Bruch wrote his Symphony No. 2 in f minor, Op. 36, in 1870. It's in three movements rather than the traditional four, three movements without a Scherzo; just two Allegros with an Adagio in between: fast-slow-fast, much as a concerto might read. The music is big and melodramatic, with shadings not only of Brahms again but of Beethoven and Schumann as well, yet with nothing as tuneful or engaging. After listening to the album, I can understand why not many people have recorded the material before. The sad fact is, Bruch's first two symphonies are not very memorable or imaginative. The best I can say for them is that they are short, clocking in at about a half an hour each. Since I couldn't remember having heard either of them before, I couldn't tell you how well other conductors have interpreted them. However, I suspect that not even the most-resourceful conductor could do much more with the music than Maestro Halasz does. Like the music itself, the sound on this 2010 Naxos album, recorded in 2008, is rather mundane and workaday, being a little on the dark, soft, cloudy, murky, harsh side. It's perfectly acceptable, mind you, just nothing to get too excited about, with little in it that impresses the listener much, little that provides the transparency, bass, or dynamic punch needed to bring it to life. Also, En Saga. Sir Colin Davis, Boston Symphony Orchestra. PentaTone Classics PTC 5186 177. Truth to tell, I find the last few of Jean Sibelius's seven symphonies rather tiresome. They all begin sounding alike to me and repeating what the composer had already done in his first few symphonies. Frankly, I find his tone poem En Saga, included here, a far better, more meaningful, more colorful work than either the Symphony No. 5 or 7. Of course, Sibelius would have lumped me into the category of those who simply didn't understand what he was up to. As he said, "Only a very few people in this world understand what I attempt and achieve in my symphonies. Most of them do not have a clue what it is all about." But that's neither here nor there. The question is whether Sir Colin Davis in his stereo recordings of the works with the Boston Symphony are worthwhile interpretations, and here we must count them resounding successes. They certainly capture Sibelius's dark, forbidding, northern landscapes, his contrasts, his themes, and his variations in vivid detail. OK, maybe Davis's more-recent recordings with the London Symphony (RCA) do it even better by expanding and broadening the music further and being a tad more expressive, but these BSO interpretations (originally on Philips) will do nicely, too. What a lot of people never realized about these Philips BSO recordings from the mid Seventies, though, is that the company miked them for potential quadraphonic playback, a technology they never eventually released to the home. Until now. PentaTone engineers have gone back to the four-channel tapes and present them on this hybrid SACD in ordinary two-channel stereo for playback on ordinary CD players and in four-channel Super Audio for multichannel systems using an SACD player. I don't have four-channel playback, but I did listen through an SACD player, finding the sound perhaps a touch clearer than from a regular Philips disc; it was hard to tell. Still, it's not as clear as Davis's later RCA recordings. Nevertheless, if you have the proper surround-sound equipment, you might want to give this disc your consideration.